More than a match... it's a lifestyle! Join Datefit's tribe of inspiring singles. The Datefit app only shows you the best potential matches based on what you tell us you're into. Whether you're looking for an extreme body builder, a weekend kayaking partner, or even just someone to help inspire you to eat healthy, there is someone here looking for you too. Enter your profile info, enter what you're looking for, and go! Datefit’s activity feed is truly different from anything you’ve ever seen in a dating app. And yet - it will feel totally familiar. 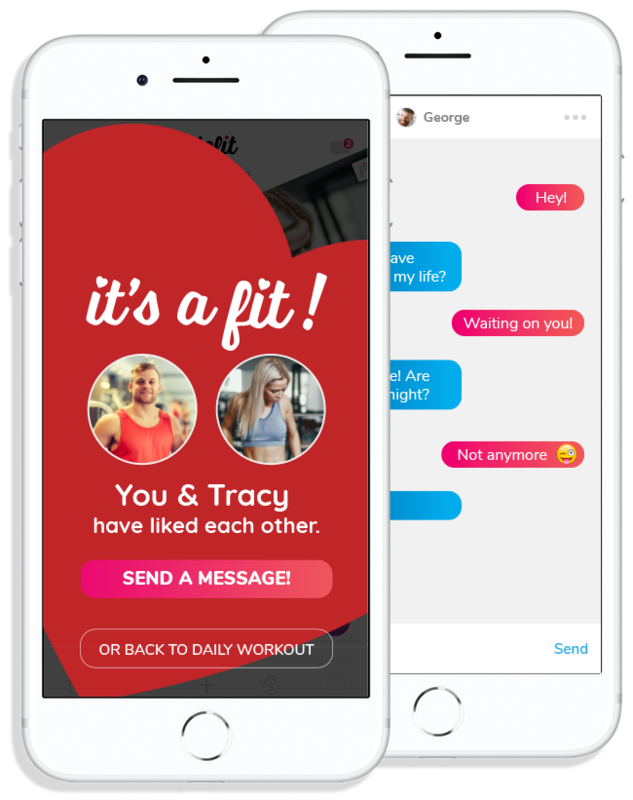 The difference is, with Datefit, everyone appearing in your activity feed is looking to meet someone, just like you. See what potential matches are up to in your area or across the world. Switch back and forth with a tap! Like what you see? Then “LIKE” what you see! It could be the first step toward a new relationship. Datefit’s Daily Workout provides you with 25 new FREE matches each and every day. Each potential match is a fine-tuned result based on your passions and what you’re looking for. Everyone is welcome. Get motivated while finding love. When you see someone that you’re really impressed with, “WOW” him or her by swiping UP or tapping the purple heart button. When someone is WOW’d, they are immediately notified and will have the option to start a private conversation with the suitor. Become of best version of yourself. 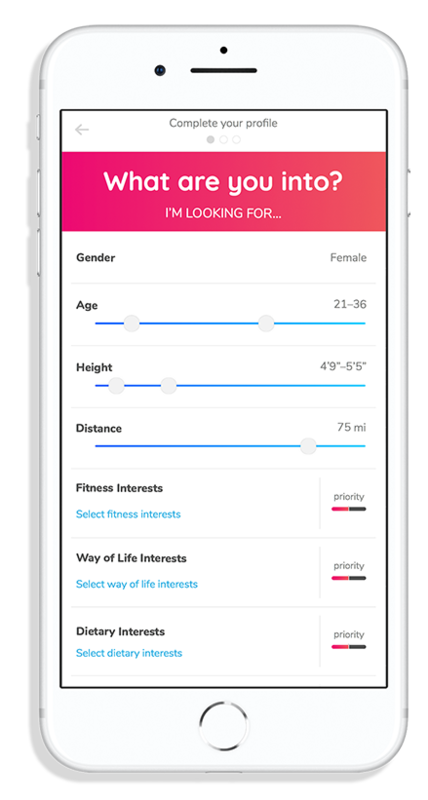 Our proprietary Fit Scale algorithm rates each and every one of your potential matches based on a combination of your own interests and passions, what you're looking for, the priority levels you set on your interests, geography, and more. You'll see the Fit Scale in the upper right corner of each one of your matches in the Daily Workout. The more green that fills the bar, the better the chance that that person is your power partner! We meet you wherever you're at on your journey. When someone you like like's you back — it's a fit! You can then get the conversation started! Privately chat with each other right inside of the Datefit app. Your perfect match is waiting — join the Datefit community!